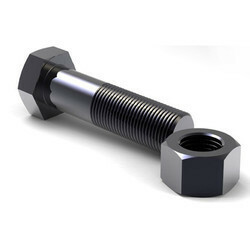 Our product range includes a wide range of ms fasteners. We Jain Steel Export as well as Supply pipe MS Fasteners Stainless Steel, Alloy Steel,Mild steel,Carbon Steel, Forged Steel, Cupronickelas per customers requirement.We have been very fortunate to have very loyal client which have immensely supported us in making UFI’ one of the most respected and known brand in the field of Pipe Fittings and Flanges all over the Globe. Our name is constituted with perfection because we have invested enormous efforts in providing the most superior quality products to our client and we are constantly increasing our caliber by inputting time and energy in bringing about innovative and cost effective processes to offer the most competitive prices to our esteemed clients.